On Thursday, July 16 at a much more reasonable time than usual, the 2015 Emmy nominees were announced, and each and every one was most assuredly deserved. We saw a great surge in strong, powerful women on our television screens this past year, from the ladies of Litchfield on Orange Is The New Black to uproarious comedian/feminist icon Amy Schumer being nominated after showcasing her comedic prowess on Comedy Central's Inside Amy Schumer. Sadly, a look at the non-actor nominees shows that the writing and directing Emmy categories were lacking in women — again. 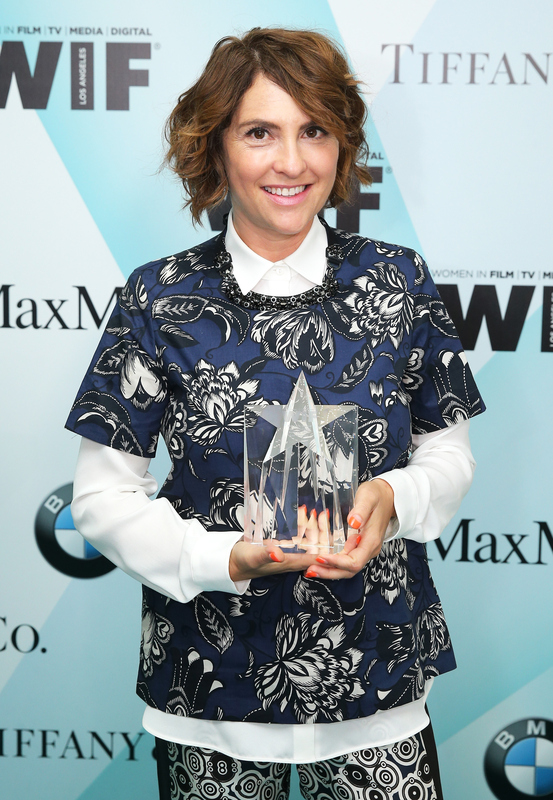 For the Outstanding Writing For A Comedy Series category, Transparent writer Jill Soloway was the only woman given a nod out of six nominees. Similarly, in 2014, Liz Friedman was the only woman nominated, for her work on Orange Is The New Black. As for Outstanding Writing For A Drama Series, women completely lost out this year, as none were nominated at all, as opposed to 2014, when the category had a single female nominee. Women only did slightly better this year for Outstanding Directing For A Drama Series, with Lesli Linka Glatter earning a nod for Homeland, whereas 2014 offered zero female nominations in the category. The reverse is true for Outstanding Writing For A Drama Series, with only one female nomination in 2014, and a big fat zero for 2015. It is certainly disconcerting to see so few women being nominated for their work behind the camera. Then again, is this because of snubs from Emmy voters or because there continues to be a lack of opportunities for women in the male-dominated fields of television writing and directing? Moira Walley-Beckett in 2014, who took home the Emmy for Breaking Bad. She was the only woman nominated out of five nominees. In 2015, no women were nominated in the category out of five nominees. In 2014, Liz Friedman was the only woman nominated out of five. In 2015, Jill Soloway has been the only woman nominated out of six nominees. No women received a nomination in 2014. In 2015, Lesli Link Glatter is the only woman nominated out of five. Gail Mancuso won in 2014 and was nominated along with Jodie Foster in a category of six. In 2015, Jill Soloway was the only nominee alongside five other nominees. Seriously, what gives? Clearly, the television industry still has a long way to go.